This project is a farm-based anaerobic digester project that will process the farm’s dairy manure as well as approximately 12,000 tons/yr of off-farm organics. The facility will produce biogas that will be cleaned and then sold to FortisBC and injected into the existing natural gas pipeline. 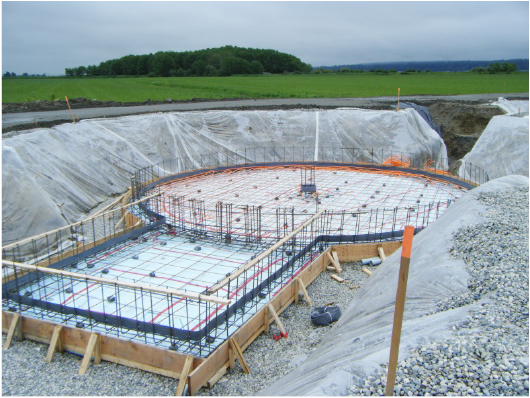 A unique aspect of this project is the digestate that is produced will be further processed on-site to produce a number of co-products. First the digestate will be solids separated to produce bedding that is used on the farm. Due to the high level of phosphorus in the soil in the Delta area, phosphorus will be recovered from the liquid digestate to create phosphorus rich mulch, which can then be used by area farmers who are currently importing phosphorus onto their farm for their crops. This process will leave a liquid digestate with lower phosphorus levels that can be more easily applied to the surrounding fields at the farm. 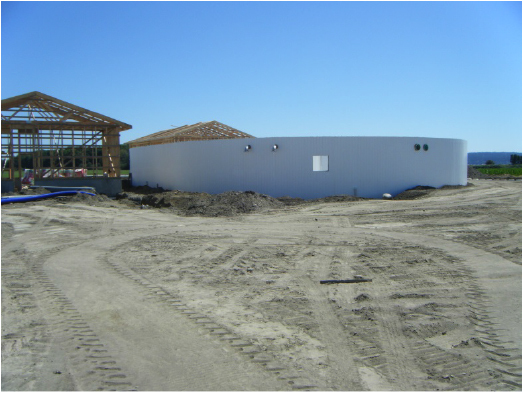 A feasibility study for this facility was carried out in 2010 as part of a study for ARDCorp to determine the feasibility of biogas projects in British Columbia. Following this study Jerry Keulen, the owner of the farm, decided to continue to develop the project. The facility began construction in the spring of 2014 and is operational since early 2015. CH Four has worked with Western Organics Management and Kloot Construction to build this complete waste management facility. CH Four has worked closely with Metro Vancouver to obtain an Air Permit and to ensure that the facility will be able to manage any potential odours associated with the project. Part of this was the development of a Progressive Odour Management Plan for the facility.